I was going to write a completely different post this week, but due to the headache that is currently chipping away at my sanity I have decided to make something a little less serious and in-depth. I hope you won't mind! I hope you all had a lovely holiday season and are enjoying the New Year. I'm currently on vacation and trying to be productive on a daily basis, which means laying in bed on my phone until noon and staying up far too late watching Scandal (thanks Shonda). Due to this binge, I have decided to make a list of my favorite televisions shows. These are in no particular order, because when it comes to favorites I can never pick just one. Growing up I was never one of those girls who watched network television often. I spent my time listening to the radio and playing random video games or surfing the web. Then, one night back in 2002 I sat and watched an episode in the final season of Buffy. I ended up watching the entire rest of the series and hated that I had started it so late in the game. It was the early 2000s, which meant easy access to complete series of TV shows just wasn't there. Ever since that night back in 2003 when Buffy finished and I regretted my lack of dedication to watching weekly TV shows I decided to try and follow shows that were running, and a year or two later my parents got a DVR hookup in the house and thus began my downfall of television obsessions. A few years back, I discovered the entire series online, I spent all my free time watching the show until I had finished it for the second time, and it was just as good as I remembered. 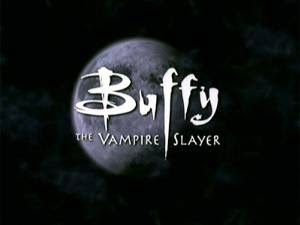 I'd grown up catching the random episode from time to time, but I never watched enough of it to get the plot points, to watch Buffy grow, or any of the things that really made it a great show. Watching it in full made me feel like a teenager all over again in the best way. If Buffy was the show that ignited my desire to watch weekly television shows, Lost was that show that just kept it going until the point where it couldn't be turned off. It was the first TV show I watched from pilot to finish, week to week, sitting there on the couch or laying in my bed with my mouth open just asking myself what JJ has done to my mind. 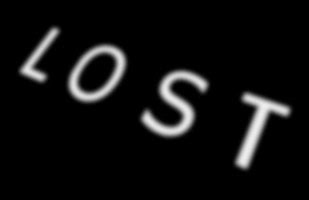 While the later seasons got a little weird, and that second season was just utter crap, the journey of Lost is something that I will never get with any other show for as long as I live. The pilot set the bar for all other shows that followed, and many tried and failed to mimic it's catastrophic start only to fizzle out after a season or two. There will never be another Lost, and its legacy will remain in television history for years to come. This was the first show that truly made me feel something for fictional characters, this was the first show that made me cry, this was the first show that had me yelling at my TV as that stupid logo popped up at the end of the hour. I'll confess, I've never watched the first season of Grey's Anatomy. I picked it up partway through the second season and I've never looked back. Now here I am, nearly ten years later, still watching it from week to week. I was sixteen the first time I watched Grey's, and I'll be 26 next month. It's a weird thing to think about, how much of my life has been spent watching this TV show. It's definitely a drama, it's definitely out-there more than it's not. The story lines are far-fetched and if any hospital had as much hooking up as Seattle Grace (or should I say Grey-Sloan Memorial?) it wouldn't even be able to function, but I love this show. I love this show with some deep part of me that thinks that it can do no wrong, even if Shonda Rhimes decides a musical episode is a good idea. Whatever drama is happening in my life always seems to be strangely mirrored in this show, and whenever I just want to let my emotions out I pop on Grey's and I just let myself feel. It is the best emotional medicine any show can provide, which is no surprise considering it's a show about doctors. This may seem like a strange choice. I didn't even watch a single episode of Roseanne when it aired for the first time. But back when I was in my junior and/or senior year of high school TV Land played the entire series from start to finish on a loop at 10 o'clock at night for two episode blocks. I watched it every night as I went to bed. It wasn't full of vampires or some big mystery or even full of a lot of crazy drama. It was just a real family dealing with real issues. I loved the brashness of Roseanne herself, and I loved each of the characters. Every night I watched. For 111 days. I watched the children grow up and get married and all the drama around that. It was nice watching the series in a speed-up manner, not having to wait week to week. I guess it was the first show I ever binged watched before binge watching was really a "thing". I love Parks and Rec. I've never once thought that it was anything less than amazing. I even love the first season that everyone says to just skip (it's 6 episodes! 2 hours of show!). The humor is amazing and the characters are perfect. The jokes run their course perfectly and never feel overdone as so often happens with comedies. I'm going to be very sad when it ends, but it is time, I think. There isn't much more material to go through, and I would rather a show ends while I still love it than keep going and going until I don't want to watch anymore (I'm looking at you, The Office). Whenever anyone asks me what show they should watch I suggest this one. I truly think there is something for everyone in this show, if they just give it a shot. Other shows have their niche, their specific audience, but Parks and Rec is really just an all-around comedy. In my mind, it's a great show that everyone watches, and I am always surprised to find out just how many people don't tune-in each week. This is by no means my complete list of shows that I love. Others include Game of Thrones, New Girl, Friends, and now Scandal. These are just the ones that hold a special place in my heart. Plus, my head is really bothering me so I decided five was a good place to end this list. What shows do you think are great? I'm always up for some new shows to watch! 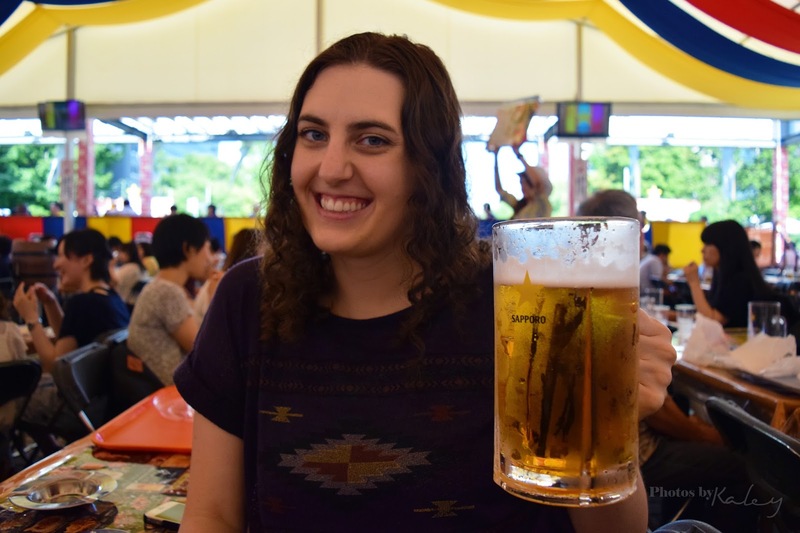 45 Books to Read in 2015!